How would you describe your role as Officer Commanding? What are your usual duties and priorities? Just being a member of a team. The main aim is to benefit the cadets as much as possible. This includes ensuring the wellbeing of all cadets whilst providing a safe and enjoyable environment in which cadets can make the most of their teenage years, and most importantly enjoy themselves. I work in agriculture at Harper Adams University, with students who are undergoing practical training; I’m mainly working with sheep and cattle. Did you do any work inside the Air Training Corps before becoming the Officer Commanding of our squadron? If so what was it, how did you come across it and why did you move on? As I wasn’t a cadet myself, I originally discovered the Air Cadet Organisation through an advert on the radio which was recruiting volunteers for Volunteer Gliding Squadron gliding, this lead me to my first post, a Civilian Instructor at 2497 (Cosford) Squadron. I was a Civilian Instructor for three years before being a uniformed officer when I was offered the opportunity to become the Officer Commanding of 28 (Shawbury) Squadron, at which I was based for eighteen months before becoming the Officer Commanding of 2497 (Cosford) Squadron, my most recent and longest serving post, at which I have been Officer Commanding for just over five years. 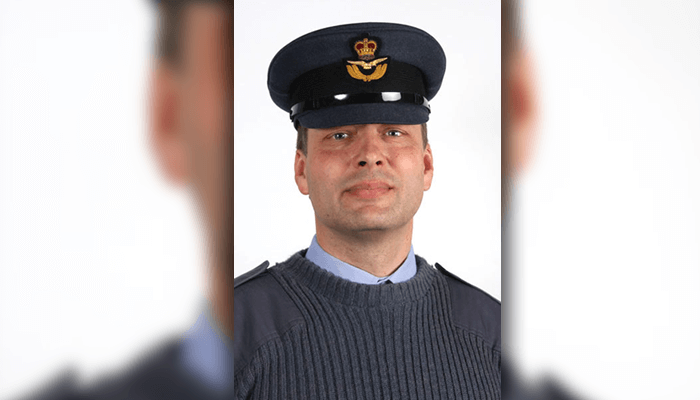 Why did you choose to take on the role of Officer Commanding at our squadron? What do you enjoy the most about being Officer Commanding? It’s quite a challenging role which appeals to me; it was a different opportunity, which I wished to experience. The job role relies on working with a team, which I like being a part of and it gives me support. The role is also very dependent on organisation and good management which suits me well, it’s what I’ve got experience with and I enjoy. However, the main highlight of being an Officer Commanding is seeing the development of cadets over the years. It gives me pleasure watching young new fresh-faced cadets who join our squadron at the age of 12 – 13 developing and growing up right until they leave when they age out. It’s also special to see the cadets making the very most out of activities knowing they are enjoying themselves; it puts a smile on my face. What are the main challenges of being our Officer Commanding? What have been your largest hurdles? The main challenge for me was learning everything from scratch. As I wasn’t a cadet personally I had no practice at drill or the general rules and actions that I was expected to follow. However, whilst being Officer Commanding, I’ve gradually picked it up over time with the support from others around me. At the moment my greatest hurdle is the management of spare time and the ratio between family and cadets. I have many family commitments which occasionally collide with cadet related activities, causing to be hard to prioritise between them and manage my spare time out of work. Being Officer Commanding, as with all jobs, is dependent on reaching and meeting deadlines which on top of family commitments and my job out of cadets can sometimes be quite a struggle. Is there anything you wish or are planning to change about our squadron as Officer Commanding? Recently, in the last couple of months, as you may have seen, we have been doing a lot of work decorating in the Foyer; it would be nice to continue it through the remainder of the building however, his will require a lot of spare time and work which may also be tackled in the far future. There are multiple other ideas which are still in the planning process which could be happening over the next couple of years, we’ve already got plans for the shooting range in Classroom Three which would be nice to get up and running as a project for cadets to get into. As a squadron we’re also connected to a canoe club, but it would be nice to get more involvement – making it a larger activity for cadets. However, currently as a squadron we’re doing fine and it runs well as long as we have the staff available to cater for activities. However, it wouldn’t be a bad investment to advertise for more staff members to allow more flexibility. I get pleasure and a sense of fulfilment and achievement from working as Officer Commanding. as I’m able to see the immediate and direct impact our work has on cadets and the appreciation they have for what we do. What are your main experiences that you’ve enjoyed whilst being Officer Commanding? I’ve achieved a lot throughout my time as Officer Commanding and have undertaken many events and commitments which have had a large impact on me. As Officer Commanding, my main highlights have included taking control of a helicopter; being provided the opportunity to take groups out on expeditions, which has given me experience in leadership and safeguarding of large groups, resulting in gaining a qualification; Project Propeller, meeting veterans; and being invited to meet HRH Princess Anne during her visit to RAF Cosford. Is there anything else you wish to achieve as Officer Commanding, what would you still like to do? There are still many things I’d like to try and achieve whilst being Officer Commanding, but the main ambition is to continue as Officer Commanding watching cadets develop as individuals and enjoy their time as a cadet. I’d like to see the progress the squadron makes over time – particularly in performances at Wing Field Day and watching the squadron improve year by year, and one year potentially winning the overall trophy. What would you like cadets to know? Is there any advice you’d like to give to current and future cadets of 2497 (Cosford) Squadron? The more you put into cadets the more you get out of it, if you attend activities and make the most of what we have to offer, you’ll benefit the most. I always advise all cadets to sign up for as many activities as possible – even those never attempted before. I’d like all cadets to fulfil all opportunities available to them even if the odds of being selected for these activities are relatively slim. Such as when Ex Cadet Warrant Officer Toby Frost was accepted to go to Hong Kong as a part of the International Air Cadet Exchange Programme in summer 2015, despite the small number of places available, he was awarded a place and had an experience of a lifetime. What would you like your cadets to do for you? Continue to support the squadron, excel in opportunities available, make the most of their time as a cadet and most importantly, have fun.